THE ART OF GENEALOGY: DO YOU HAVE OHIO ANCESTORS? When I clicked Henry Cutler again, a screenshot of an index card appeared. I have never seen this type of information on a cemetery website before, but I wish I would see more of this practice! Look at all the good information for family historians: place of birth, last residence, birth date, death date, interment date and time, disease, names of parents, lot owner, place of death, undertaker, even the size of the coffin. Poor Henry died in a railroad accident, so there will probably be newspaper articles about that event. You could also contact the undertaker. If you go back to the Genealogy Search page (http://www.springgrove.org/geneology-search.aspx), you can enter the Section and Lot Numbers and see a list of all the people buried nearby a person. This is helpful information as families tend to be buried near each other. When I did this with Henry’s Section 103 and Lot 21 I found him and four other Cutlers. 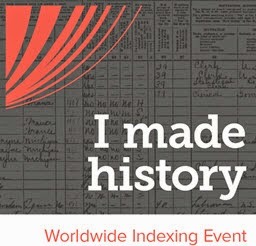 If you click on “Lasting Legacies” (http://www.springgrove.org/lasting-legacies.aspx), you can add information about your ancestor or, if you are lucky, read something that someone else has posted. You can also add information about a veteran on “The Spring Grove Family Salutes Our Family” page (http://www.springgrove.org/veterans-tribute.aspx). There is also a tab on the home page for recent losses. If you click on “Obituaries" (http://www.springgrove.org/obituaries.aspx), you will see current obituaries. There is also a link for “Archived Obituaries" (http://www.springgrove.org/obituaries.aspx?status=archived). At this point I don’t know if any of these Cutlers are related to me. I also tried the search with the surname Crandall; I got 11 hits. When I tried it with the surname Spaulding, I got 28 hits. I hope that I find some ancestors who died around Cincinnati so I can take advantage of this great website. Cemeteries are in a unique position to help genealogists, and the Spring Grove website is a fine example. Do you have ancestors who died in Ohio? (1) Entry for "Henry Cutler," date of death 16 Dec 1884, Spring Grove Cemeteries, Funeral Homes and Crematory, Cincinnati, Ohio (http://www.springgrove.org: accessed June 23, 2013). (3) Snippet of headstone from my photograph in 2011 of D. Delos Cutler and Helen Marsh gravestone in Green Lawn Cemetery, New Hartford, New York.